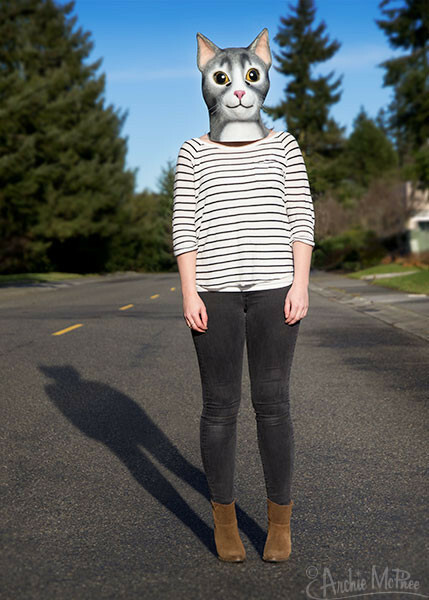 There�s a lot to envy about the life of a cat. They lay around all day in a sunbeam getting all their needs catered to while they ignore their owners. 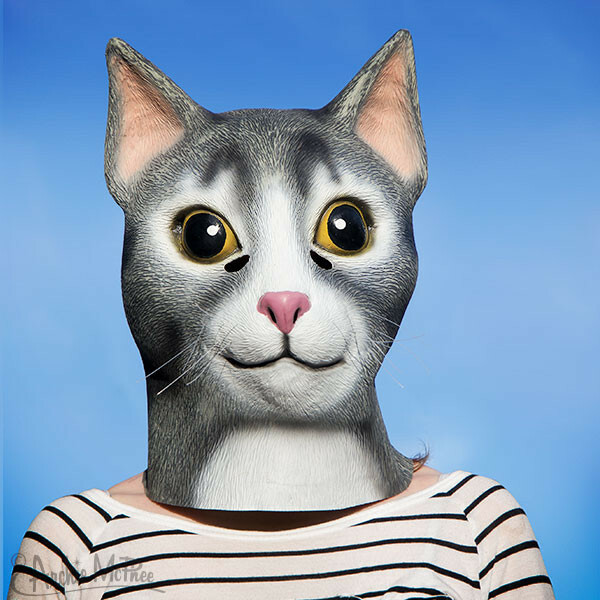 This latex mask lets you become a gray tabby any time you want. 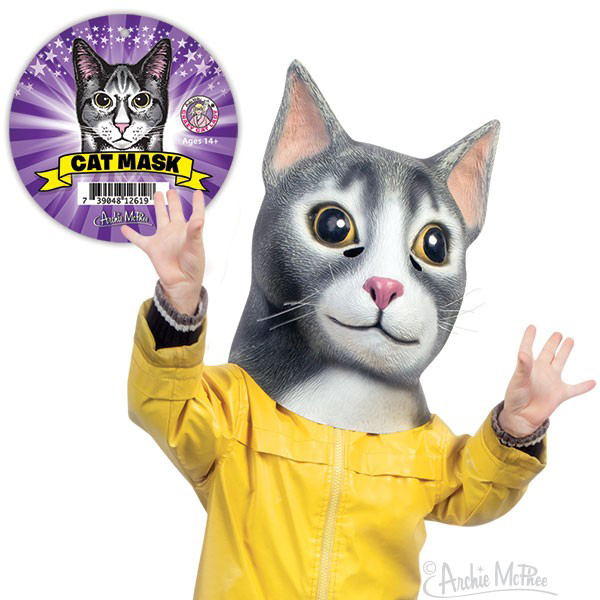 It has whiskers and looks realistic enough to shock an actual cat into a reaction. Fits most adult heads.